Posted by samenthoven under Awesome Reader Art! 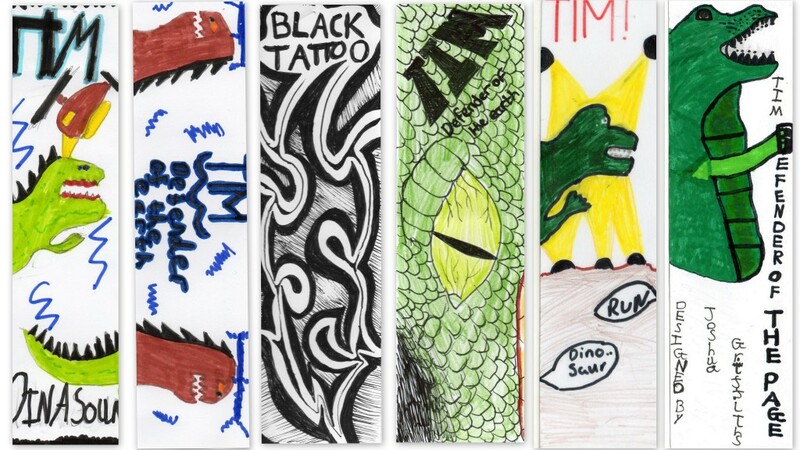 Following on from my previous post about my visit to Market Bosworth High School, here are some stunning bookmarks created by its students…! Aren’t these fabulous? The two on the left are by Laura-Anne, the middle two are by Ross, and the two on the right are by April and Josh. Massive respect to all four of you for your wonderful art skills: I am honoured and thrilled that my books were the impetus for such stylish and spirited work. You’ve put a huge cheesy grin on my face. HEE HEE HEE HEE!